Students at Reek School near Fontana may have noticed something new when they went outside for recess last spring — vegetables growing in the school’s garden. The project is a collaboration between the school and the Lake Geneva Garden Club, whose goal with the garden is to teach kids about the history of Victory Gardens and the ability to grow your own food, and to educate them about heirloom fruits and vegetables. And perhaps even ignite a love of gardening in the students. The project is just one of many that the club has undertaken in recent years, several of which have a philanthropic or educational purpose. 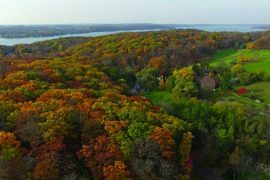 it’s a continuation of the mission set out by the founders of the organization, which is a long-standing and revered institution in the Lake Geneva area. This year, the Lake Geneva Garden Club will celebrate its 100th anniversary. But its history actually extends back even further than that, to an era in the development of Lake Geneva when wealthy summer residents first felt inspired to share their good fortune and celebrate the natural world they came here to enjoy. 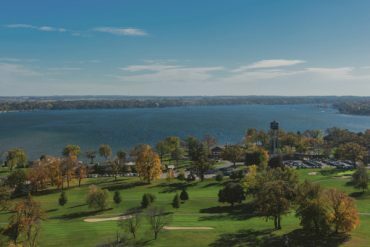 A shared interest in gardening and a healthy spirit of competition eventually led to the formation of one of the most venerable clubs in the area, one of only a handful still thriving today that can trace their history back to Lake Geneva’s earliest days as a resort. After the Chicago Fire of 1871, many wealthy Chicago families decided to build summer estates on the shores of Geneva Lake, spending the summer months away from the heat and dirt of the city. 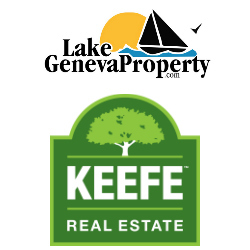 As a result, the 1870s and 1880s were a period of rapid growth for the Lake Geneva area, a time which led to the construction of new churches and civic buildings as well as the formation of several new clubs and charities sponsored by these generous summer residents. 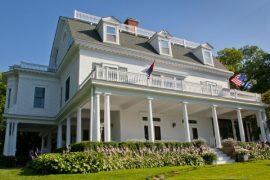 Several of the founding members of the Lake Geneva Fresh-Air Association, many of them wives of prominent summer residents, would maintain a passion for outdoor pursuits throughout their lives, and would eventually become instrumental in the founding of the Lake Geneva Garden Club. Competitive gardening in the Geneva Lake area was a popular activity in the summer months dating back to at least 1905. According to a 1969 article in the Lake Geneva Regional News, the earliest competitive flower shows were staged by the Lake Geneva Gardeners’ and Foremens’ Association. The flower shows that Smith’s group sponsored provided a platform for the large estates around the lake to show off the handiwork of their full-time landscape foremen and to engage in a little friendly competition, often in the interest of charity. In 1908, the group sponsored the first Midsummer Fair on the grounds of the Levi Z. Leiter estate as a fundraising event. According to the Lake Geneva Regional News, “animals, fruits, flowers, vegetables, bakery goods and needlework were exhibited” and local churches provided dinner. Men representing the YMCA collected donations; one woman raised over $600 (a very large sum then) by cooking a barrel and a half of sugar candy. Unfortunately, at the end of the evening, several of the guests took an unintended swim when the pier collapsed as they were boarding their yachts for the trip home. But despite the minor hiccup, the fair was declared a success and continued for several summers. In 1911, Chicago broker and local magnate Simeon B. Chapin formed the Lake Geneva Horticultural Society and raised funds to build a meeting-place for the Lake Geneva Gardeners’ and Foremens’ Association. One year later, they dedicated Lake Geneva’s Horticultural Hall, which is still a prized civic building in Lake Geneva today. It is a building that stands out among the storefronts and other buildings in downtown Lake Geneva. It was built to emulate an English guild hall, with its secluded garden and impressive great hall. Horticultural Hall became the meeting place not just for the Gardeners’ and Foremens’ Association but also for the Lake Geneva Fresh-Air Association and soon, for the Lake Geneva Garden Club. According to a 1991 article in the Chicago Tribune, the front lawn of Wychwood “was designed as a natural landscape; instead of a lawn down to the edge of the lake, a tangle of native shrubs and vines attracted many of the birds that Frances Hutchinson loved to hear. 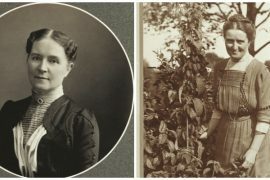 Experimental plantings were conducted there to find new species for the northern U.S.” In 1907, she published a book entitled Our Country Home: How we Transformed a Wisconsin Woodland about her work on the grounds at Wychwood. In 1915, Hutchinson founded the Lake Geneva Garden Club for the purpose of sharing gardening knowledge and the love of gardening among women who summered on Geneva Lake and their friends in town. The club’s membership was limited to 100 members. At the time, Hutchinson’s husband Charles served as the president of the Art Institute of Chicago, and through his connections, she arranged world-class lectures and presentations in the drawing rooms of Garden Club members, increasing the profile of the organization. Many of the women boasting the area’s most famous last names claimed membership in the Lake Geneva Garden Club. In 1920, the club joined The Garden Club of America, the purpose of which is to “stimulate the knowledge and love of gardening; to share the advantage of association by means of educational meetings, conferences, correspondence and publications; and to restore, improve and protect the environment through educational programs and action in the fields of conservation and civic improvement.” Due to the nature of the area, the Lake Geneva Garden Club joined as a summer club only; it remains one of the few seasonal members of The Garden Club of America today. In 1970, the Lake Geneva Garden Club began hosting the event that remains its most popular: the House and Garden Cruise. 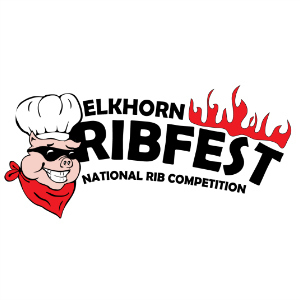 This fundraising event happens every two years and usually sells out in a matter of days. Alternate years are dedicated to flower shows at Horticultural Hall or other special events and projects. 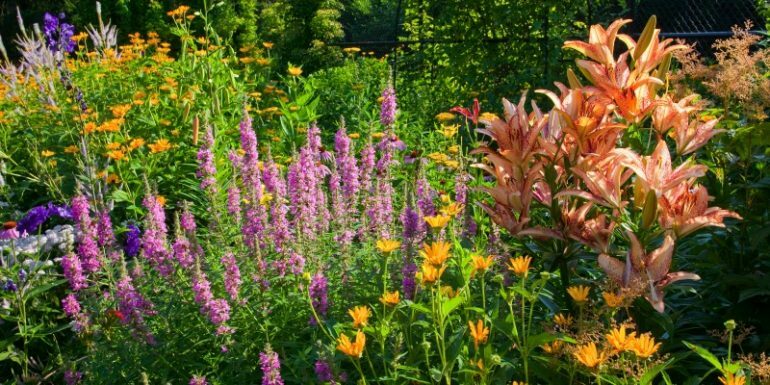 Every third year, the club participates in a statewide flower show and botanical workshop called Art en Fleurs with other affiliated Wisconsin garden clubs. In addition to these formal events, the club also sponsors its own projects and collaborations. Last year, they published a cookbook of members’ favorite recipes and hosted a full slate of expert botanical speakers, including Jody Elting, Gerald Adelmann, Roy Diblik and Suzanne Malec-McKenna. this will be featured prominently on literature and in programming. The club will also focus on woodland flowers and heirloom vegetables, two plantings important to its history, and all of the meetings for 2015 will be held at sites with historic meaning to the group. To that end, the Historical Celebration Committee initiated the project with Reek School to design a learning garden on the school grounds. “We’ve been working with Reek to plant a ‘victory garden’ to teach kids about the history of the war effort,” explains Club Historian Maggie Gage. The heirloom vegetables grown there will ultimately be donated to food pantries. One of the club’s bigger projects this summer will be the dedication of a new statue that they commissioned and donated to Horticultural Hall. Jay and Barbara Brost sculpted the statue of a kneeling girl, which will welcome visitors to the historic site and serve as a reminder of the connections and goodwill between the Lake Geneva Garden Club and Horticultural Hall.